We have a global commitment to delivering and architecting complex solutions to help our clients achieve their goals. We are positioned to help businesses expand and thrive globally by untangling the complex global commerce model to deliver high-quality, end-to-end implementation of solutions supported by Sycomp’s logistics and global, world-class services. 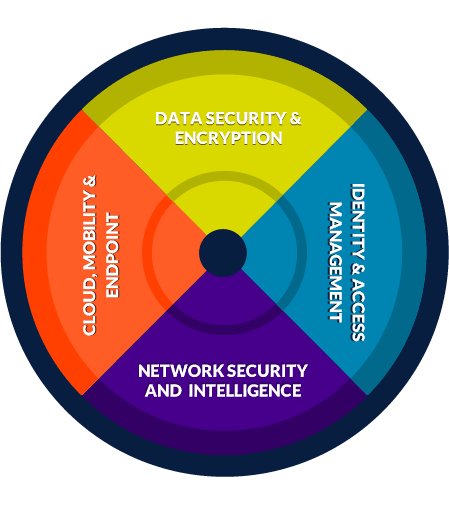 Our comprehensive security strategy is backed up by a complete set of best-of-breed security solutions designed to protect your network, your data, and your organization. We help enable clients to realize cost-effective infrastructure solutions aligning with business goals and technical strategies. Our team of highly skilled engineers analyze requirements and evaluate precise solutions to solve complex data center challenges. Sycomp’s ability to assess, design, integrate, deliver and support a wide range of cost-effective technology solutions and services is second to none. We are experts at understanding the business conversation and mapping the client’s business needs to a solution. Sycomp provides clients with comprehensive, IT security solutions and services delivered by the Security Solutions Group. Data Security & Encryption – Secure data and applications in a private or hybrid cloud. Cloud, Mobility & Endpoint – Protects diverse environments, networks, and devices. Network Security & Security Intelligence – Secure the perimeter, prioritize events and respond quickly. Identity & Access Management – Control and monitor users across IT environments. Whether you are looking to leverage the cloud to enhance business functionality or to protect your information, Sycomp has you covered. Want to get more out of your Amazon Web Services spend? Sycomp can help. Gain visibility across your AWS accounts to help allocate and forecast costs, manage Reserved Instances, proactively identify savings opportunities, and more. Security is our specialty. Sycomp offers a comprehensive security strategy backed up by a complete set of security solutions not only for your data center, but also for your cloud environment. Our team of certified AWS experts will consult with you on your project and deliver an AWS deployment that meets your objectives. Sycomp has the right team, infrastructure, tools, and processes to design, deploy, manage, and monitor AWS environments for your organization. The cloud presents you with new opportunities. Sycomp’s expert engineers provide enterprises with a consultative approach to realize cost-effective infrastructure solutions. Compute – Open-technology infrastructure server and storage solutions designed for mission-critical and cloud-enabled applications. Storage – Architecture and deployment of an optimized mix of hybrid storage system and software configurations. Networking – Secure, cost-effective connectivity solutions for large and small organizations. Software – Enterprise software solutions that address global enterprise challenges. 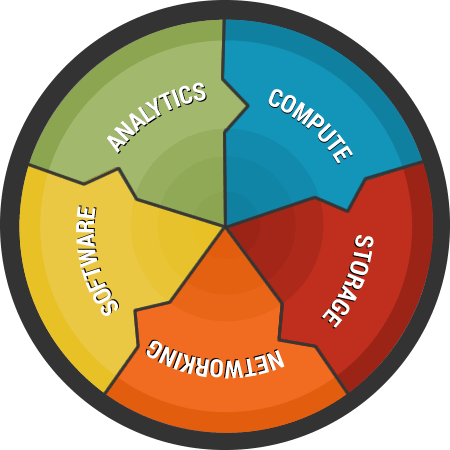 Analytics – Solutions to leverage hardware and software technology. Experts in understanding the business conversation and mapping clients’ business needs to solutions, Sycomp globally assesses, designs, integrates, delivers and supports authentic technology solutions and services. Sycomp provides a clear view of an enterprise’s IT and security infrastructures to maximize investment return. Sycomp defines and validates technical needs, and creates new and innovative solutions. Sycomp provides the skills and proficiency needed to cross-train and support IT staffs.